Fourth of July weekend is almost here! Most of us celebrate this occasion with friends or family by means of food and gatherings. And what Independence Day would be complete without fireworks! With it though, also comes the importance of being safe and away from active fireworks...because what may seem harmless can actually be fatal. 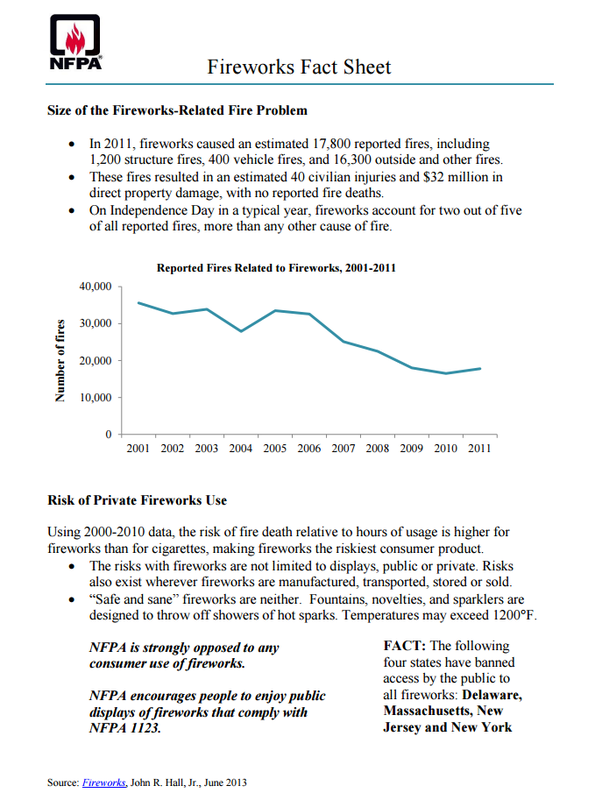 According to the Consumer Product Safety Commission, 11 consumers were killed due to fireworks in 2014 (up from 8% in 2013), and more than 10,000 were injured. 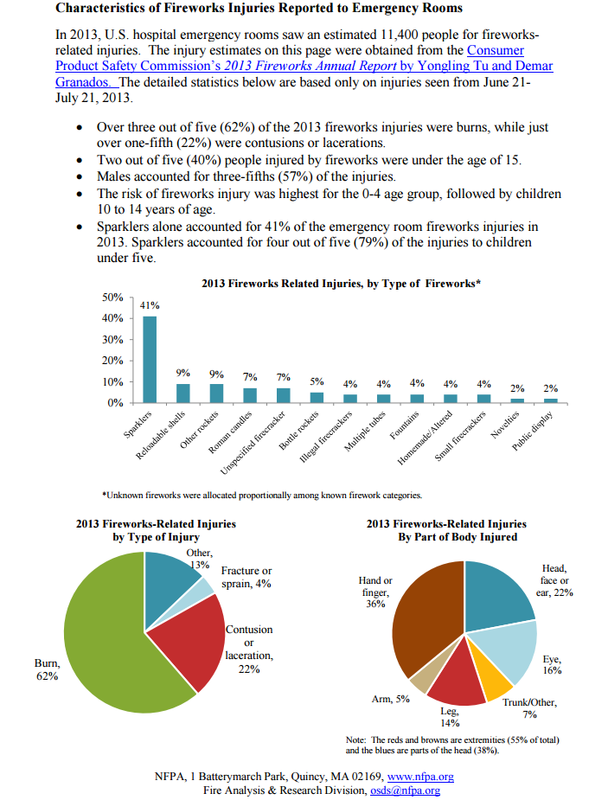 "Harmless" sparklers accounted for more than 23% of all estimated fireworks injuries. When lighting fireworks, do so one at a time. Move away from the fireworks quickly after lighting the fuse and do not lean over the device. Never let children play with fireworks, especially without adult supervision. Make sure that there's a water hose nearby in case of a fire mishap. The water can also be used to douse the used fireworks before discarding to prevent trash fire. Make sure that the device has been completely used before going near it to dispose. This will prevent accidents related to fireworks re-igniting. Before buying fireworks, make sure that it is legal!!! Watch out for signs like usage of brown paper packaging and/or lack of manufacturer labels. If the fireworks are malfunctioning, never try to re-light them. Soak it with water and throw them away immediately. Never point fireworks at another person, homes, and other flammable materials. If sparklers are being used, go in a row of only one direction so that it is not directly in someone's face. Although anyone is vulnerable to fireworks injury, teens are one of the most common victims because of irresponsibility! Please make sure not to take selfies while handling fireworks, even if it's "just sparklers". Do not light fireworks near dry grass as it could easily cause a wild fire, especially if there's no bucket of water or extinguisher nearby. Our Senju team wishes everyone a safe and happy Fourth of July! Please be advised that our office will be closed on Friday, July 3, 2015.